Our Annual General Meeting took place in the evening of Monday, 11th June at Tam O’Shanter Urban Farm. The Bidston Hill Family Open Day took place on Sunday 13th May (10am to 4pm), during National Mills Weekend. The Windmill opened from 11am through 1pm, and so did the Lighthouse and Observatory. There were various other events throughout the day for the whole family, including guided walks, Punch & Judy shows, and Viking re-enactments. and much more for the whole family. Rhododendrons Flowering on Bidston Hill. Saturday 12th May, 2pm – 3.30pm. A guided walk from Bidston Windmill descending into Park Wood to see the colourful rhododendrons in flower. 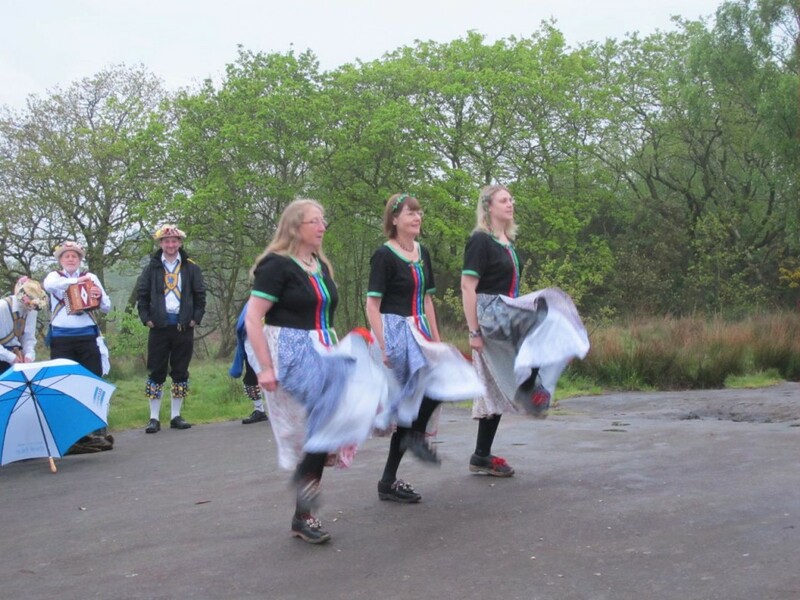 We had to cancel the spring clean of Bidston Hill cancelled due to inclement weather. It was to take place on Sunday 4th March 2018, as part of the Great British Spring Clean. The Friends of Bidston Hill were represented at the Wirral History and Heritage Fair, which took place on Saturday 10th March at Birkenhead Town Hall, Hamilton Square. On Friday 11th August, the Mayor of Wirral raised Bidston Hill’s Green Flag for another year. We had a family picnic on Saturday 8th July to celebrate our parks and green spaces. More information. Our Annual General Meeting took place during the afternoon of Monday 15th May. Proceedings started with a free guided walk along the Bidston Hill Heritage Trail at 12:30 pm. The AGM itself folled at 2 pm, including election of office bearers, and an illustrated lecture on “Viking Wirral and the search for the site of the Battle of Brunanburh” by Peter France. Bidston Windmill opened for National Mills Weekend on Saturday 13th May. Rhododendron expert Stephen Lyus led three guided walks of the Rhododendrons of Park Wood, at 2 pm on Saturdays 15th April, 29th April and 13th May. Great British Spring Clean, 11 am to 3 pm on Saturday 4th March, 2017. Ghost Stories were told on Bidston Hill on Halloween, Monday 31st October at a secret location. About twenty participants partook of hot chocolate and mulled wine around an open fire. Our Teddy Bears’ Picnic took place on Friday 2nd September, at 12 noon at Tam O’Shanter Urban Farm. Families enjoyed a bear hunt in the woods, a nature treasure hunt and a picnic. 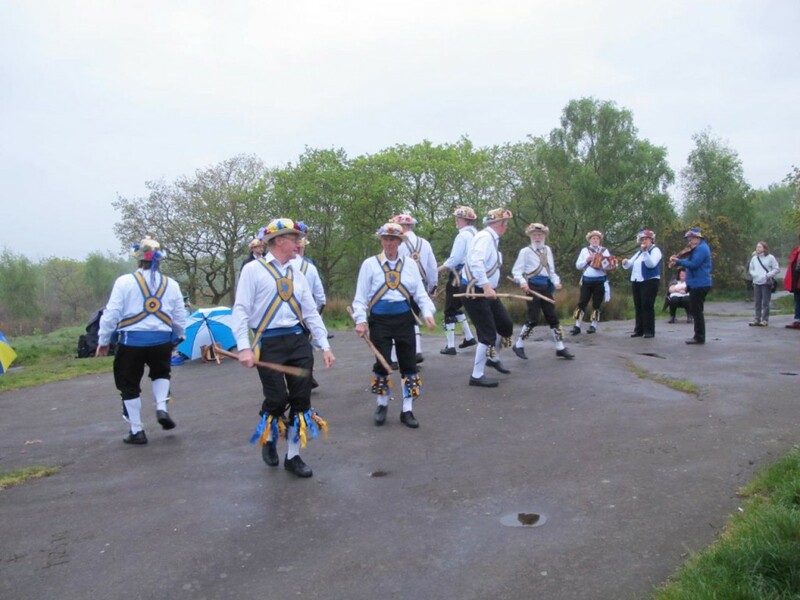 Saturday 21st May, 11am – 12:30pm: Bidston Hill. 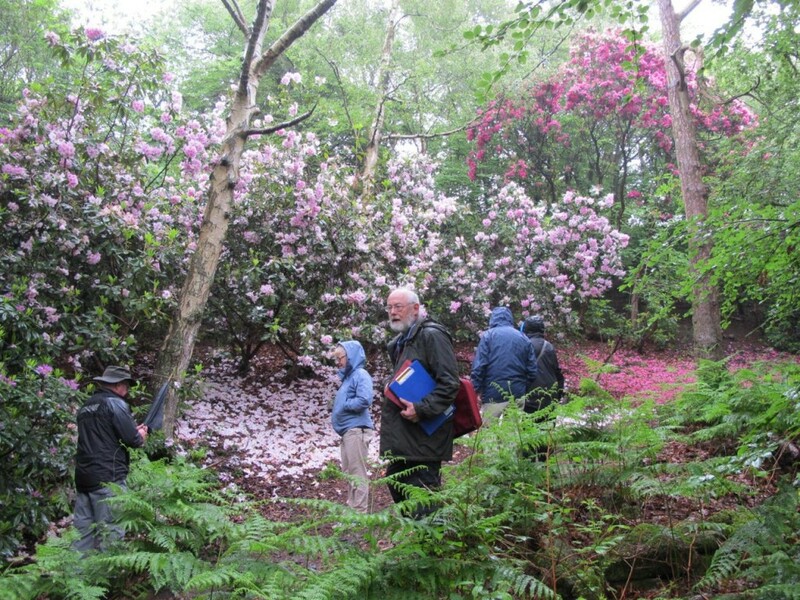 On Saturday 28th May, Stephen Lyus led a walk through the Rhododendrons of Park Wood, which were in full bloom. Our Annual General Meeting took place on Tuesday 24th May in the evening. Proceedings started at Tam O’Shanter Urban Farm at 7 pm. After the business of the AGM, guest speaker Ken Clarke told us all about the Windmills and Watermills of Wirral. Bidston Windmill was the only mill in Merseyside to open to the public during National Mills Weekend. We opened on Saturday 14th May, in addition to our normal opening on the first Saturday of the month. 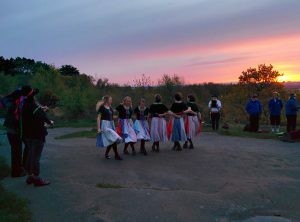 It was worth getting out of bed to witness the Mersey Morris Men and the Mockbeggar Morris dance the sun up on Bidston Hill on May Day. On Saturday 5th March, 25 volunteers took part in an all-day Spring clean of Bidston Hill and Flaybrick Cemetery as part of the nationwide “Clean for the Queen” weekend. In 2015, we opened Bidston Windmill on the first Saturday of ever month from April to September (10am to 12 noon), and also on Saturday 9th May 2015 (2pm – 4pm) for the National Mills Weekend. Our Halloween Ghost Walk on Thursday 29th October 2015 was fully booked well in advance. Rain forced us to re-schedule our Teddy Bears’ Picnic for Friday 28th August 2015 at 12 noon, because teddy bears don’t like to get wet. Admission was free. We had a bear hunt through the woods and a nature treasure hunt. Our Midsummer Family Picnic took place on Saturday 20th June at Tam O’Shanter Farm. Activities included a Nature Treasure Hunt for the little ones and a Spiral Dance for all ages. We ran three free guided tours of the rhododendrons and trees of Bidston Hill’s Park Wood on Saturday 25th April, Saturday 16th May, and Saturday 30th May 2015. Our Annual General Meeting took place at 7.00 pm on Tuesday 12th May 2015 at Tam O’Shanter Farm. The current office bearers were re-elected. The meeting finished with a fascinating illustrated talk on Bidston Lighthouse by Stephen Pickles. There were four performances of Robin Hood: The Panto presented by Off-Book Theatre, on 26th and 27th August 2014. Our first Teddy Bears’ Picnic for 2014, on Friday 30th May at 1pm, was a great success. The second, originally scheduled for Friday 29th August at 12 noon, had to be cancelled because of rain. During 2014, Bidston Lighthouse opened on the same days as the Windmill, from 10:30 am to 1 pm, giving people the opportunity to visit both on the same morning. Guided tours of the lighthouse tower. Fantastic views from the lamp room. Admission was free for members of the Friends of Bidston Hill (£5 per family per year). Bidston Bounty. Friday 20th June 2014, 18.30 – 20.00, funded by big lotto. Participants enjoyed a unique look at Bidston Hill and the bounty that can be found there, led by Keith Matthews, bushcraft and woodcraft tutor and Bidston’s Ranger. A Spiral Dance to celebrate midsummer took place on the field adjoining the car park at Tam O’Shanter Urban Farm on Saturday, 21 June 2014 at 2pm. Back to the woods, Relaxation and Bushcraft. Not all those who wander are lost. Saturday 21st June 2014, repeated on Sunday 22nd June, at 10am – 3pm both days. Funded by big lotto, this was a chance to have a go at some woodland skills: fire by friction, den building, puting up a shelter, bark crafts and relaxation techniques. Led by Keith Matthews, bushcraft and woodcraft tutor, and the Ranger and forest school leader, Nic. 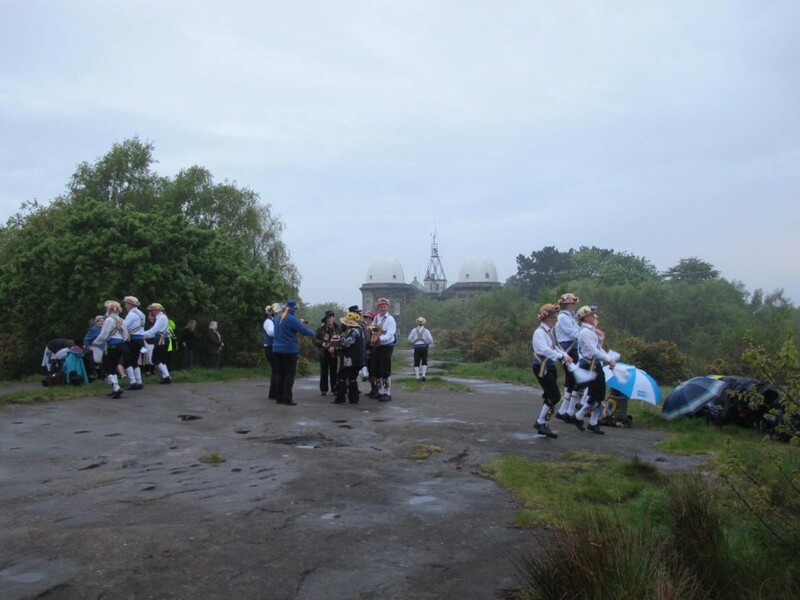 The Mersey Morris Men and the Mockbeggar Morris bravely danced on Bidston Hill at dawn on a wet and miserable May Day. Our good and knowledgeable friend Stephen Lyus led us on three guided walks through Park Wood on Saturday afternoons, 26th April, 24th May, and 28th June 2014. These were great opportunities to learn about and identify the various trees on the hill, especially the early- and mid-flowering Rhododendrons, and gave a fascinating and interesting insight into this subject. Unfortunately, the late-flowering Rhododendrons were about three weeks early this year, and had finished by the last walk. Next year we’ll run the three walks closer together. The events were free of charge. Bidston Windmill opened for National Mills Weekend, on Saturday, 10th May 2014 from 10 am until 12 noon. Our Annual General Meeting took place at Tam O’Shanter Urban Farm on Wednesday 7th May 2014 at 7:00 pm. Guest speaker Betty Nesbitt gave an illustrated talk on Bidston Hill’s flag and semaphore systems. On Tuesday, 25th March, 2014 it was exactly 100 years since King George’s Way was opened. There was a ceremony at 2 pm to commemorate the event. We held our second annual Halloween Ghost Walk on Saturday 26th October 2013. Starting at Tam O’Shanter Farm, we wandered past the haunted mill and on to the Lighthouse at Wilding Way, where a warming cup of hot chocolate awaited those who survived the ordeal. Many wore fancy dress. The wise wore waterproof clothing and sensible shoes, and brought a torch. Two Fungal Photography Forays took place on Saturday 5th October 2013, followed by the “Bidston Bounty” walk on Sunday 6th October. The Lighthouse has been opening its doors on Windmill Open Days. Admission is usually free for current members of the Friends of Bidston Hill. More information about Bidston Lighthouse openings. Our Teddy Bears Picnic on Friday 30th August 2013 was a great success. Twenty-nine Teddy Bears were measured, weighed and issued with birth certificates. And the Teddy Bear Hunt discovered another fourteen wild bears in the woods, and invited them to the picnic.